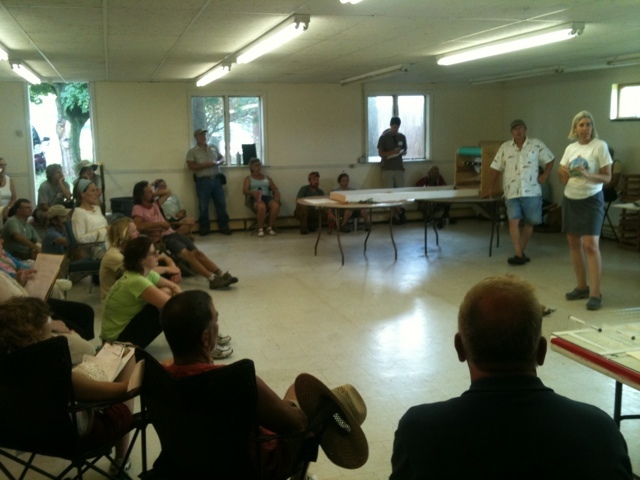 We had such a great time yesterday and only hope the visitors to the farm did as well! 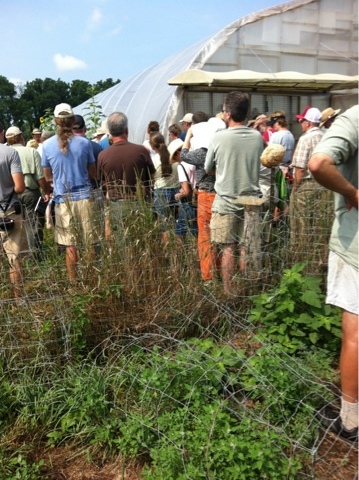 Mostly other farmers in attendance, so it is a different tour than usual. The details of everything are examined and discussed, to a degree that someone visiting to get a dozen eggs would never receive. Then early to bed, much to do today! 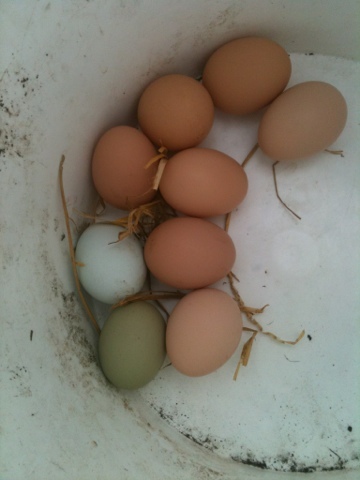 And the hens still made eggs...and with the electric off 2 pigs got out and had to be coaxed back in with those eggs.